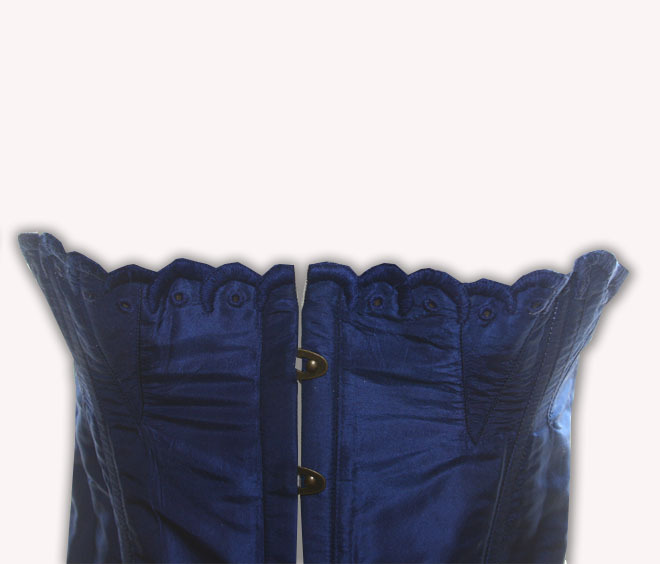 This corset is just like the white coutil corset but in blue silk! This was copied from two different orginals from the period. The top edge is embroidered as well. This corset will fit up to these measurments. Please measure yourself and double check those measurements before ordering. This corset is a shop sample and has a small issue.There is a 1/2" spot where a bone is starting to poke through, all that would be needed would be a patch over the spot. This item normally retails for $200 but now is reduced due to being shop worn.